Cruise Lines International Association (CLIA) has unveiled an independent study of the cruise industry’s environmental standing in regards to practices and performance as issued by maritime experts. Findings included technological innovations and leadership among CLIA Cruise Line Members and overall cruise ship environmental improvements as alternative fuels and policies are further developed. Despite cruise ships representing less than one percent of the international maritime fleet, the industry commits strongly to environmental stewardship. The two main areas of focus were air emissions and wastewater treatment. “I am proud of the performance of CLIA Cruise Line Members and their commitment to the protection of the environment. Safeguarding and preserving the world’s precious natural resources is not only the right thing to do, but it is essential to the cruise experience for generations to come,” said Cindy D’Aoust, president and CEO, CLIA, in a press release. The study was commissioned by CLIA and prepared by Energy and Environmental Research Associates, LLC (EERA), analyzing almost 300 existing CLIA Cruise Line Member ocean ships. Also researched were the cruise industry’s environmental investments in new-build innovations. READ MORE: How Do Cruise Ships Affect the Environment? “Our technical analysis of the cruise industry’s leadership and performance in working to protect the environment found that CLIA’s ocean-going member cruise lines often go beyond the protective environmental measures required by regulation,” said James Corbett, a Professor with the University of Delaware School of Marine and Science Policy, and one of the authors of the study, in a press release. As for air emissions, EERA found that CLIA Cruise Line Members meet or exceed international requirements. In the U.S. and Europe, emissions of berthed cruise ships only account for 3 percent and 1.2 percent of all commercial vessels docked there, respectively. 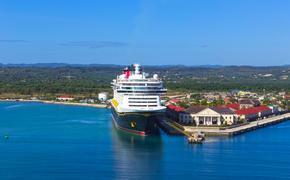 It was also discovered that the cruise industry is a leader in utilizing cleaner fuels, handling air emissions and prepping ships to connect to shoreside power. Such solutions include exhaust scrubbers, low sulfur fuels and Liquefied Natural Gas (LNG). In regards to wastewater, the EERA again found that CLIA Cruise Line Members ships meet or exceed International Maritime Organization (IMO) standards. 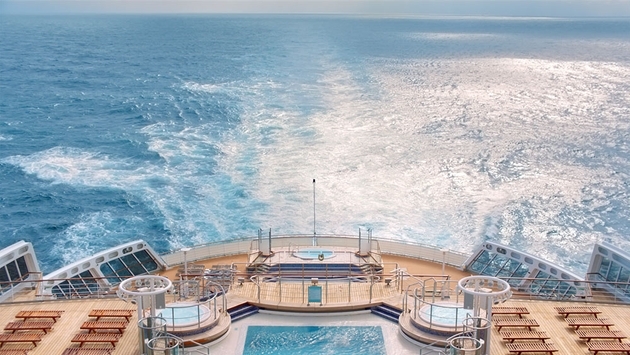 READ MORE: What Are Cruise Lines Doing To Go Green? CLIA’s own mandatory wastewater discharge policy disallows untreated sewage to be disposed of anywhere in the ocean whereas global regulations permit vessels to do so 12 nautical miles from shore if sailing at a certain rate. In fact, Advanced Waste Water Treatment Systems (AWTS) are of great importance to CLIA Cruise Line Members, with a minimum of 26 new ships set to include them. In total, approximately 50 percent of new-builds in the next ten years will employ AWTS. Leadership has also been demonstrated with all other national and international sewage regulation compliance and adherence to the Baltic Sea Special Area Measures ahead of time.